Awning Cleaning Industries can make your awnings, banners, and flags look attractive and inviting, just as they did when new. Our APCO products, which have been specially formulated for us, renew and extend the life of your fabrics, while our hand-washing process ensures that they are handled with the utmost care. Prior to cleaning, we carefully inspect your items to see if there is need for any repairs. To have your outdoor fabrics professionally cleaned and treated, bring or have them delivered to our facility. If you prefer the do-it-yourself option, you can purchase our proprietary APCO products for cleaning and protecting your fabrics. 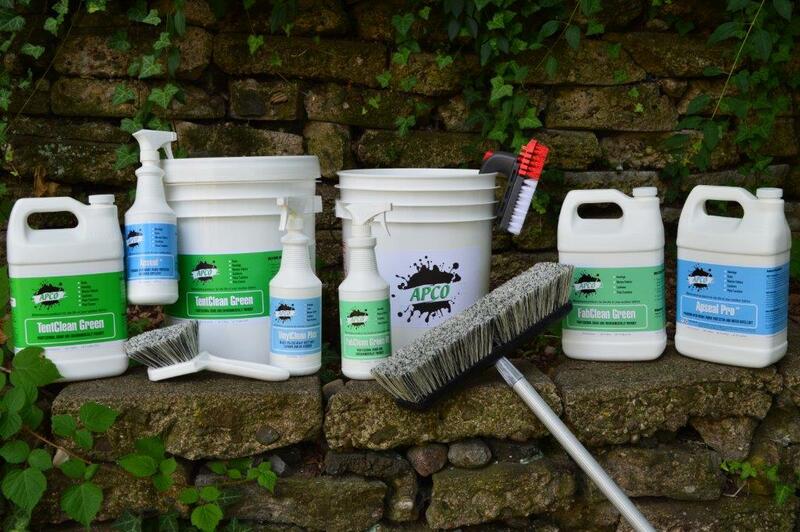 Hand-washing with APCO products restores the life of your outdoor fabrics. ^ Slide square to the right to see the difference. Along with first-class cleaning services, our sewing room services have become an asset to many of our awning clients. 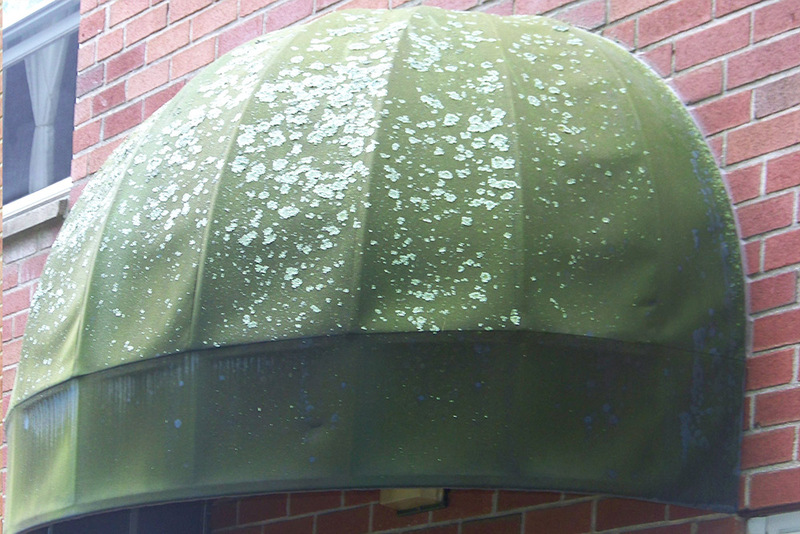 Should your awnings become too old to service, or if you are ready for a change of color, our sewing room can produce replacement covers for you. Select from a wide variety of fabric colors and patterns from the best manufacturers. All our new covers include a lifetime stitching warranty. Contact us for a quotation. If you would like a brand new awning for a window, doorway, or deck, let us provide you with a wide choice of products and all the awning services you need. All new covers come with a lifetime stitching guarantee. Contact us for a quotation.